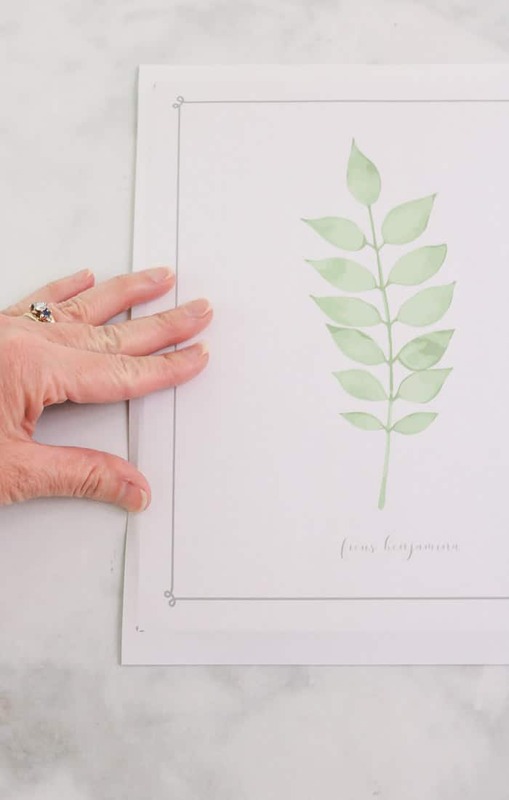 Today I am going to show you how to create art with these watercolor botanical free printables. 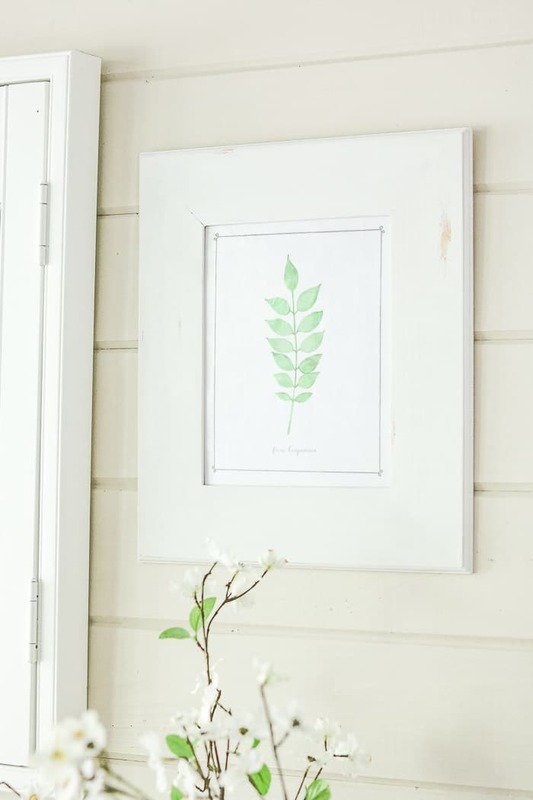 These botanical free downloadable art prints are a timeless way to decorate your home, and with this easy project, you will add style and character to your space in no time. There is something peaceful about plants which makes these free downloadable art prints so unique. With three sets of botanical prints, you can use them on a wall gallery like our gallery round-up we featured last year, free-standing on a bookcase like these bookcase makeover ideas, or just a single framed piece of art on the wall. 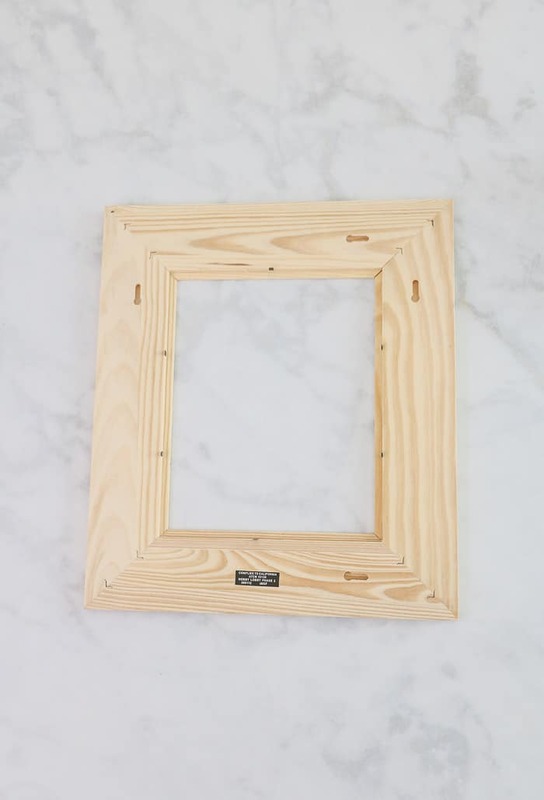 But I plan to use them on my back porch so this DIY will show you how to frame these beauties and hang them on your porch. To begin your project, you will need to print the free printable wall art on cardstock. To download the free printable artwork to frame simple subscribe to my email, and you will receive access to the free printable library. 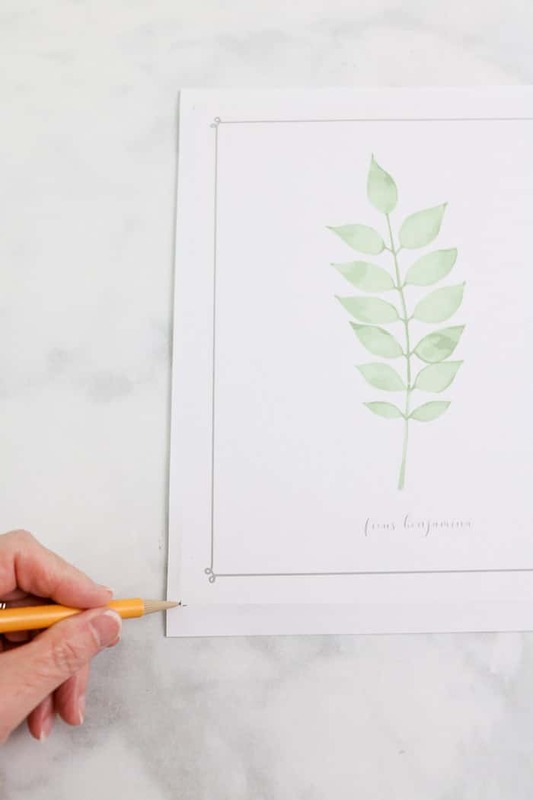 Not only will you have access to these botanical prints but you will find many more printables to decorate your home. Now let’s gather more supplies to begin this framing project. Okay, we have our supplies let’s get started. First, remove the interior pieces like the backing and glass if you have glass. Now sand the wood with the sanding block. This sanding block is a medium grit block, but a light grit will work too. 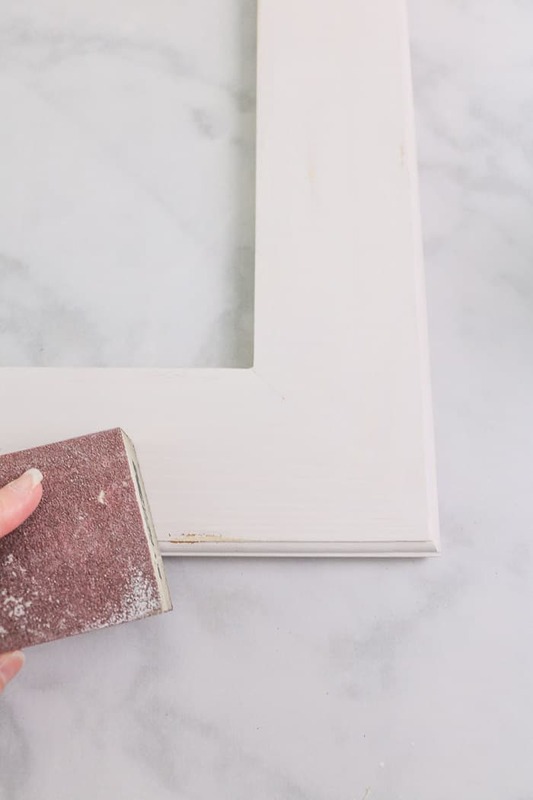 Next, take a damp paper towel and wipe away any grit from sanding. Be sure that you barely put water on the paper towel. My paper towel is more dry than wet. Now apply some Vaseline in areas where you do not want the paint to bond. Be very sparing with applying. It does not take much. I used a tiny tiny bit on my finger and gently applied it to the areas where I didn’t want the paint to bond. I wanted a lightly distressed look, so I only did a few places here and there. For the fun part and that is applying the Fusion mineral paint to the frame. I recommend following the grain when applying the paint. 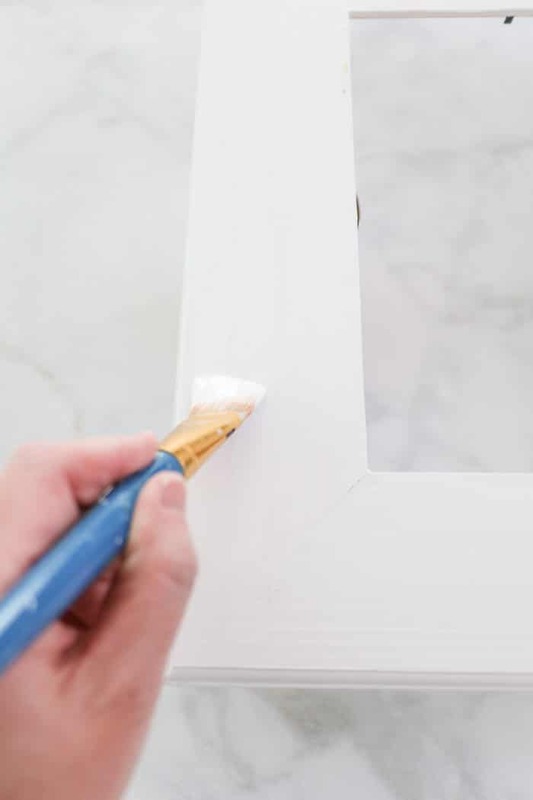 Move in long even strokes being sure to have enough time to start and finish your first coat. Fusion mineral paint dries quickly, so it is essential to be able to apply the first coat all at once with no breaks in between. You will notice as you glide the brush over the Vaseline that the paint beads right off. That is a good thing on the first coat. Remember me saying it does not take long for the paint to dry? Well, after about 30 minutes apply the second coat of paint. This time be more generous with the color if you want to cover some of the Vaseline marks. I found that I liked the look more if I applied more paint to those distressed areas, but it is a personal preference. We are almost finished with this project. 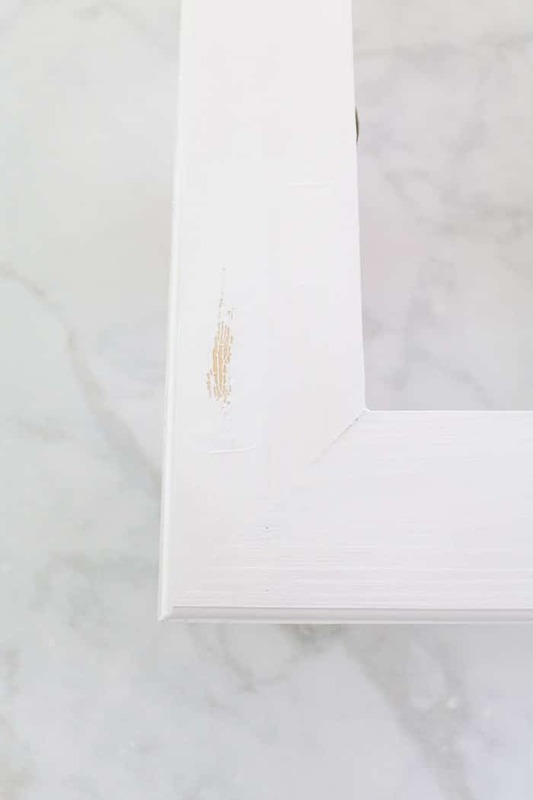 Lightly sand the paint to get a more smooth finish and then use the sanding block to hone away paint on the edges, corners and more. Sanding random areas and over the Vaseline areas will allow it to have more of a distressed look. Again, it is a personal preference on how much distress you want. I did a little here and there as you will see in the final photo. 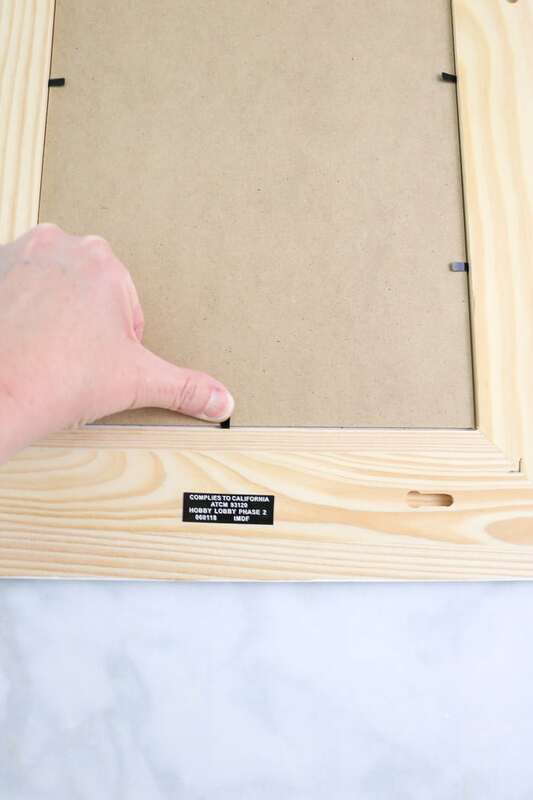 Next, set the free printable on top of the backing for the interior of the frame. Once you have, it centered make score the edges so you can see where to cut the botanical printable. Then mark the corners which will make it easier when you cut it on a cutting board. 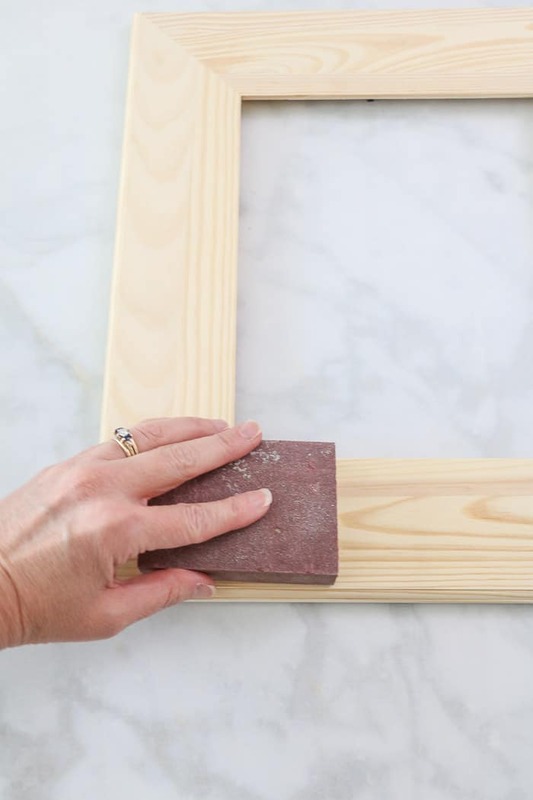 Now take the printable to a cutting board, or you can use a ruler to pencil in the lines and cut with scissors. Next, use outdoor decoupage and brush it on the centerpiece. 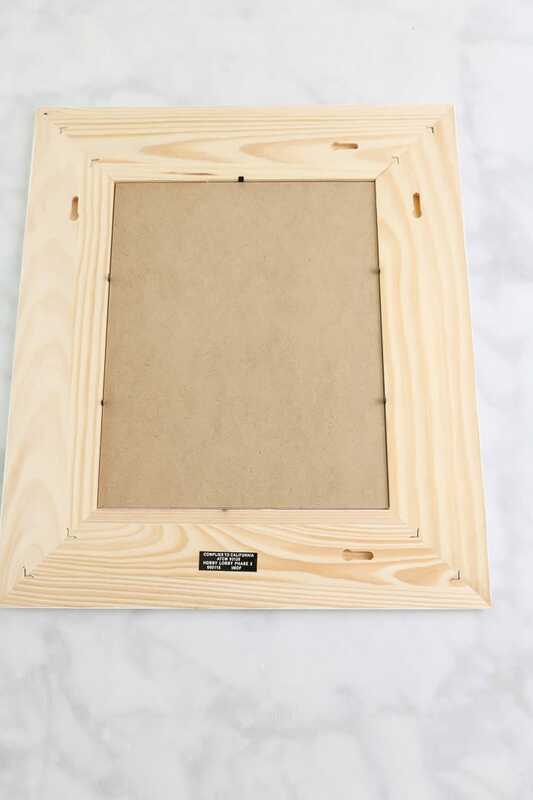 The piece that sits behind the photo when you place it back into the frame. Then use the outdoor decoupage on the back side of the free printable. 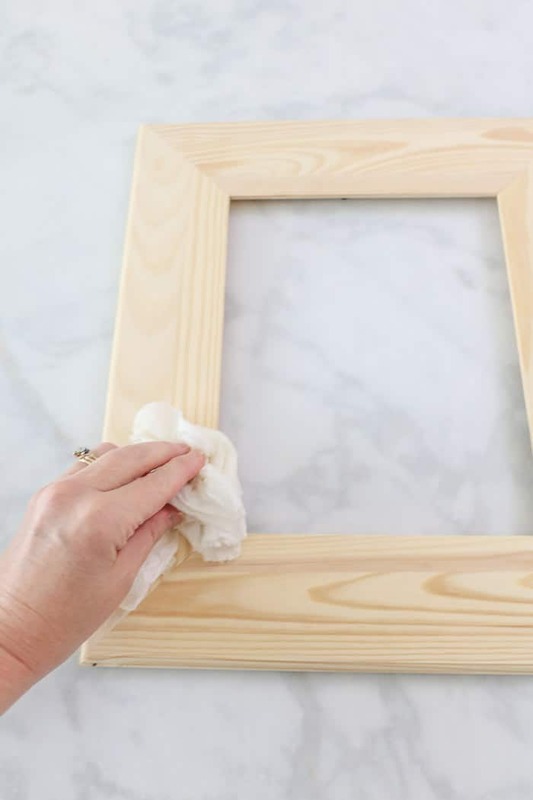 Place the two together and use a squeegee or credit card to remove any bubbles and excess decoupage. 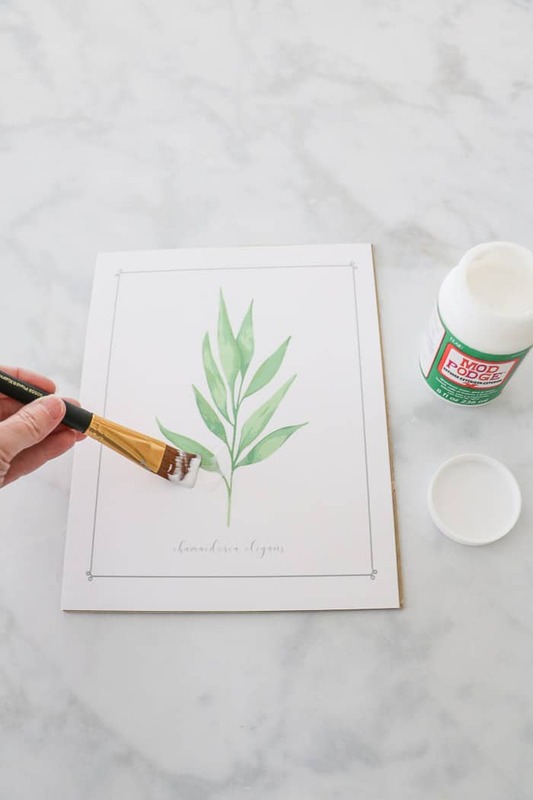 Once you have the botanical printable adhered to the back of the frame centerpiece go ahead and apply more decoupage to the top of the printable. Use crisscross and circular motions to give the piece an artist look. Look at the back for any hanging hooks or holes. Make sure they are at the top, and the printable is sitting in the right direction. 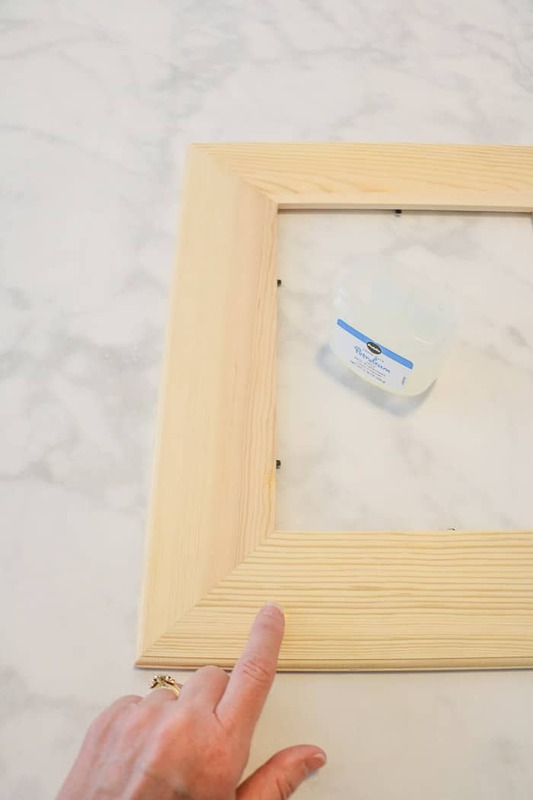 Next, drop the free printable that has been decoupaged to the backing into the center of the frame. Press down the hooks on the back. If your frame has other ways of holding the art inside follow those directions. Yay! Now you have an original farmhouse style framed watercolor botanical art. You can use this printable to decorate your home, make cards or more. The options are endless! Remembering me talking about using it on my back porch? Well, I am trying something new this year and bringing more plants to my back porch. Keep your fingers crossed that I can keep the plants alive. Maybe this is why I created these watercolor botanical printables. They don’t need watering, sunshine or anything and they will never die. LOL! I hope this post has given you some ideas for your next project. If you use the printable, please come and comment on how you used them. 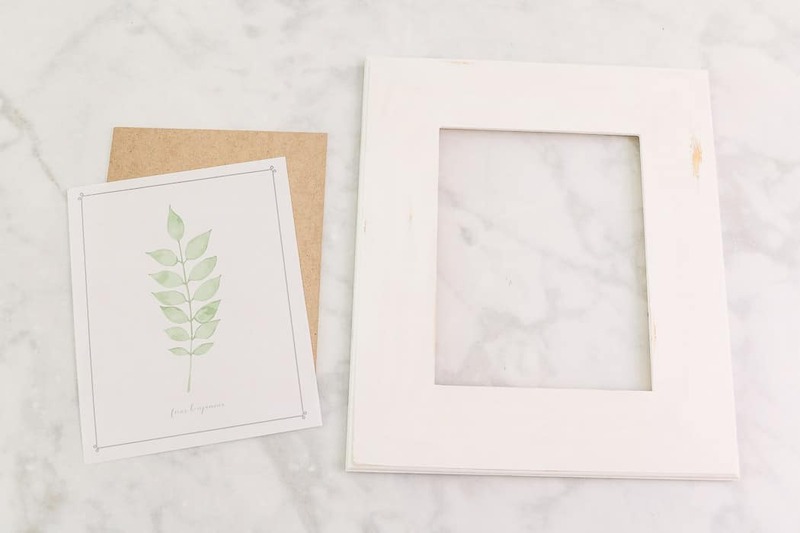 I would love to see what fun ways you decorated your home with these botanical free printables.